Bulgarian Plates is created for the purpose of assisting EU and foreign nationals with motor vehicle registrations in Bulgaria, Bulgarian licence plates, Bulgarian company formations and Bulgarian driving licenses. Our lawyers can assist you to register your car in Bulgaria and to obtain Bulgarian licence plates for your motor vehicle. The two most common reasons to register a car in Bulgaria is the less expensive motor vehicle tax than in any other EU country, and the lowest cost of motor vehicle insurance. Our lawyers may also assist you with all formalities to buy a car in Bulgaria. Our lawyers will assist with the whole process of importing your car into Bulgaria, passing MOT test and registering the car with the local Traffic Police Office – KAT Plovdiv. You do not need to worry about the fact that the insurance provider is not fluent in English or that all registration forms are in Bulgarian. A member of our team will be with you during the whole process to ensure that the car registration is completed as fast as possible and hassle-free. There are two options to register a car in Bulgaria either as a personal or company asset. Our team can assist you with obtaining a Bulgarian ID card. 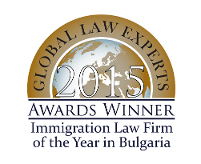 Our team can assist you with company formation in Bulgaria. If you would like to trade with your Bulgarian company, you may also have a look at Accounting in Bulgaria page. No road taxes in Bulgaria; you only pay municipality tax on the car address of registration. The municipality tax depends on the power of the car engine and will vary between 150 BGN to 450 BGN (75 EUR to 225 EUR) annually. The municipality tax in Bulgaria is payable from the second year onwards. MOT – The technical assessment per year is way cheaper than in any other EU country. The technical assessment in Bulgaria starts from only 40 BGN or 20 EUR. The average price of the MOT in Bulgaria is around 40 BGN annually and you can do the technical assessment at any licensed garage in Bulgaria. To drive your car on public roads the government charges stickers which could be purchased either for one year, six months, one month, one week or daily. Average price for a car sticker per annum is about 67 BGN. The stickers are not mandatory if you do not plan to drive on public highways and first class roads (outside of Sofia). Third party car insurance in Bulgaria is the cheapest within the entire EU. Normally car insurance in Bulgaria is approximately 250 BGN per year and it depends on the engine power of the car, adjusted by a factor depending on the year of manufacturing. The Bulgarian third party car insurance is valid in all EU member states and outside of Europe. They cover all damages and liabilities caused to a third party. You have to consider that the insurance must be purchased on the name of the car, not on the name of the driver. In that case any person who drives the car is covered for the damages caused to the third party due to road accident. If you register your car in Bulgaria you can drive it absolutely legally in any European country. Even if you are fined in another EU country the bill will go to the Bulgarian Traffic Police and thus you may avoid paying the fine. To register your car in Bulgaria you need to obtain a certificate for long-term residence and Bulgarian ID card or you can simply register a Bulgarian company. In the latter case, the car is registered as a company asset. We, at Markony Auto Services Ltd. are always fair and cost efficient to our customers. Establishing a Bulgarian company will cost you only 249 euros for a Bulgarian EOOD including all state & legal fees and registered office address. Using our company formation services, we do not charge annual or maintenance fees for the registered office address. You do not need to trade actively with your Bulgarian company. The company needs to be registered and then declared non active to the tax office. The service fee to register your car in Bulgaria with the Bulgarian Traffic Police and to obtain Bulgarian licence plates is only 179 euros and will be made entirely from the lawyers of Markony Auto Services Ltd.
Additionally, we may assist in obtaining special Bulgarian number plates. You may have a VIP number with three same digits as 1112 or 9991 or four same digits 1111 or 9999. For those of our clients who would like to have a very easily memorable number we can as assist with six same digits as 111111 or 999999. If your Bulgarian car plates were stolen or lost, we can assist you to obtain new plates. For more information about car registration in Bulgaria, please do not hesitate to contact us.